Dr. David McGrane has done over 700 media interviews since he has arrived at St. Thomas More College and the University of Saskatchewan. He has commented mainly on Saskatchewan politics, Saskatchewan elections, federal Canadian politics, and the federal NDP. He has appeared in various local, regional, and national media outlets such as Saskatoon Global News, CTV News in Saskatoon, CTV Newsnet, CBC Saskatchewan Television News, Sun Television Network, CBC Radio in Saskatchewan, Newstalk Radio 650, CJWW, CKRM, Regina Leader-Post, Saskatoon Star-Phoenix, Prince Albert Daily-Herald, Western Producer, Planet S, National Post, Financial Post, Postmedia News, Canadian Business Magazine, Globe and Mail, The Economist, and Reuters. As he is fluent in French, Dr. McGrane frequently appears on Radio-Canada Radio and Radio-Canada Television. Lists of Dr. McGrane’s Media Interviews by year: 2007, 2008, 2009, 2010, 2011, 2012, 2013, 2014, 2015. Dr. McGrane has also written a number of opinion-editorial pieces and blogs on Saskatchewan politics and Canadian politics which can be downloaded below. David McGrane. Laytonian Social Democracy: One Small Practical Action at a Time. Blog for the Broadbent Institute. January 2018. David McGrane and Haidah Amizadeh, "Let's Open Door to Help Syrians in Saskatoon", Saskatoon Star-Phoenix, November 20, 2015, A8. David McGrane, "Canadian Democracy and its Challenges", Blog for Broadbent Institute, November 18, 2015. David McGrane, "Deficit Fact and Fiction: Balanced Budgets Historically Left-Wing Territory", Winnipeg Free Press, September 1, 2015, A7. David McGrane, From Surviving to Thriving: Three Key Strategies for Effective Childcare Advocacy, Blog for Upstream, June 2015. David McGrane, "Alberta joins Prairie 'normal'", Saskatoon Star-Phoenix, May 8, 2015, A10. David McGrane, "Courting Young, Progressive Voters", Winnipeg Free Press, April 4, 2015, A15. David McGrane, Tangible Steps for Canadian Childcare Policy, Blog for Upstream, January 2015. David McGrane, "Is the Ontario NDP really more Right-Wing than the Liberals? ", Blog on www.canadiansocialdemocracy.ca, May 2014. David McGrane, "Organic waste recycling pays off", Saskatoon StarPhoenix, April 25, 2014, A9. David McGrane, "Is Political Marketing Bad for Canadian Democracy? Susan Delcourt versus Brad Lavigne", Blog on www.canadiansocialdemocracy.ca, December 2013. David McGrane, "A Referendum on Electability: The 2013 LPC Leadership Race", Guest Blog on www.punditsguide.ca, May 4th, 2013. David McGrane, "MPs wrong to attack integrity of panelists", Saskatoon StarPhoenix, April 19th, 2013, A10. David McGrane and Loleen Berdahl, "Language key in labour policy", Saskatoon StarPhoenix, February 28th, 2013, A9. David McGrane and Charles Smith. "Sask. big cities need own MPs", Saskatoon StarPhoenix, April 19th, 2012, A7. David McGrane, “‘New Sask.’ requires new public policy”, Saskatoon StarPhoenix, January 19th, 2012, A9. David McGrane and Murray Fulton, “Waning interest in CWB sign of New Sask”, David McGrane and Murray Fulton, Saskatoon StarPhoenix, December 8th, 2011, A10. 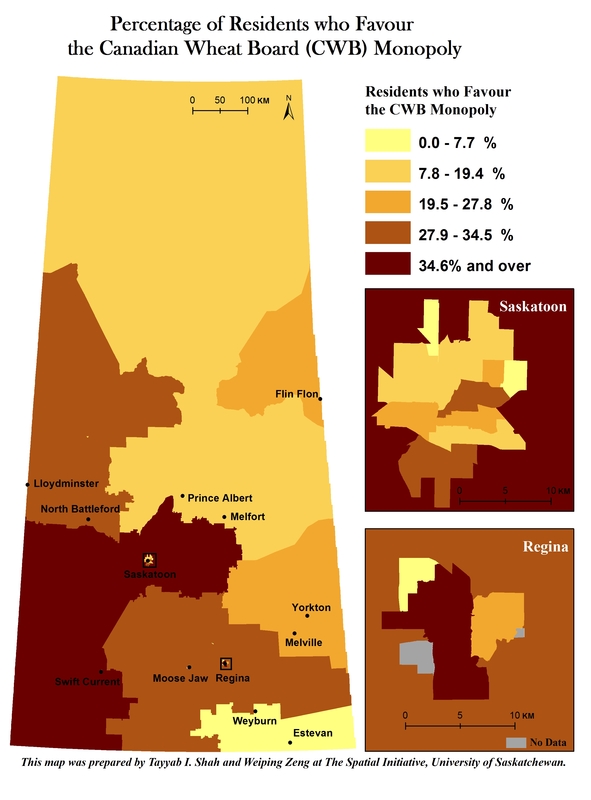 AND Download Accompanying Map to "Waning Interest in CWB sign of New Sask." David McGrane, "Layton Leaves Soild NDP Foundation", The Winnipeg Free-Press, August 23rd, 2011, A12. David McGrane and Loleen Berdahl, "Use Mendel for Family Venue", Saskatoon StarPhoenix, May 12th, 2011, A9. David McGrane,"Gov't role, economy keys to vote" Saskatoon StarPhoenix, April 15th, 2011, A10. David McGrane, “A little bit for everyone in Saskatchewan Budget 2011” on the website of Global News Saskatoon, March 24th, 2011. David McGrane, "What can we expect in today’s budget?" on the website of Global News Saskatoon, March 23rd, 2011. David McGrane, "Pre-election budget: plenty of reasons to spend, few reasons to be restrained" on the website of Global News Saskatoon, March 17th, 2011. David McGrane, “The Case for Father-Designated Parental Leave”, Full Comment Blog Section of the website of the National Post, January 25th, 2011. David McGrane, The Saskatchewan CCF and Father Eugene Cullinane, The Commonwealth, November 2010. David McGrane, "Time to Start Playing Hardball", Saskatoon StarPhoenix, August 26th, 2010, A6. David McGrane, “Co-operate to create climate solution”, Saskatoon StarPhoenix, December 18th, 2009, A14. David McGrane, “Sask. tax cuts ensures equity, fosters growth”, Saskatoon StarPhoenix, October 30th, 2008, A11. David McGrane, “Sask. Key to Harper’s aim of reshaping politics”, Saskatoon StarPhoenix, October 9th, 2008, A13. David McGrane, “Le 14 octobre, faites un choix stratégique”, Le Chinook, Oct. 1st-Oct. 15th, 3. David McGrane, “Choice by voters in Sask. Will hold significant sway”,Saskatoon StarPhoenix, September 18th, 2008, A11. David McGrane, “SaskPower must own nuclear reactor”, Saskatoon StarPhoenix, June 20th, 2008, A12. David McGrane, “Wall’s government off to shaky start on women’s issues”, Saskatoon StarPhoenix, March 7th, 2008, A11.